When I was a child, my friends would come over, and we would take turns playing the hot new video games. My parents would always tell me “Your friends don’t want to watch you play video games!”, but it turns out I was just too early. Today, there are entire services dedicated to people watching you play video games. The biggest one, of course, is Twitch; most people know about Twitch. The big streamers are a whole new kind of internet celebrity. They’ve got sponsors and more fans than you’d imagine. If you want to tap into this culture, there are things you’ll need to start with. Some of the things you’ll need aren’t going to be cheap, like a custom gaming computer. Other things, like streaming software, are free. So, let’s dive in and see what you’re going to need. Except in corner cases, you’re going to be streaming from your computer, even if you’re not playing on it. In fact, many PC streamers use two computers for their streaming set up. One to play games on, and one to record the live stream. But even if you’re only going to use one computer, you need a high end one. If your computer’s constantly in and out of the repair shop, not only are you going to have trouble keeping a stable streaming schedule, but you’re going to provide a suboptimal experience. According to Michael Pian, an amateur streamer, “It is very important to have a top of the line computer, in order to avoid losses in frame rates and overall stream quality, to provide the best experience to the viewer.” And he’s right. If you’re lagging, or you aren’t streaming high quality, no one will want to watch you. This one is a no-brainer. If you’re going to stream, you need a platform to broadcast on. Twitch is free and lets you customize your profile. After you sign up, set up an avatar picture, a banner, and a description. You’re going to need a strong profile to hook viewers in until you’re well known. 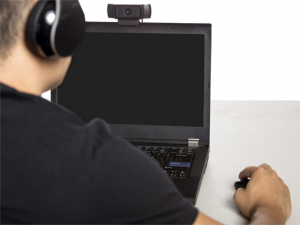 On top of your Twitch account, you’ll need software to capture your stream. The two most popular are Open Broadcast Software (OBS) and XSplit. OBS is completely free, while XSplit requires a subscription for its most important features, but comes with a crazy-intuitive interface. If you want to forego the computer and equipment, you can stream from your Xbox One or PS4. The Xbox One has a Twitch app, and the PS4 has streaming built right into the share menu. You won’t have the power over your stream like you would on PC, but this is a great way to find out if streaming is for you before you buy any specialized equipment. If you want to get the full control of your stream on your console, you’ll need a capture card like the Elgato Game Capture HD. Streaming can be an enjoyable and lucrative hobby, or even side job. If you’ve got a fun story to share, or you want to show off your streaming rig, PC Fixer would love to hear about it on Facebook. If you’re looking for help building your streaming computer, PC Fixer has all the knowledge you need to build the perfect computer for your budget. Call (310) 948-0588, or visit the website to see what they can do for you.